Born in Eastern Germany, Andreas Dresen previously worked as a sound engineer for the Schwerin Theatre in 1984-1985 and became an apprentice at the DEFA Studio the following year. Afterwards, he trained for cinema and audiovisual career at the Konrad Wolf College and in Potsdam-Babelsberg from 1986 to 1991. His directing credits include Cloud 9, Summer in Berlin, Grill Point and Night Shapes. 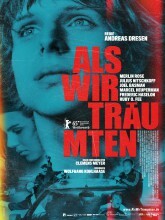 His film Stopped on Track premiered at the Un Certain Regard section at the 2011 Cannes Film Festival, where it won the Prize of Un Certain Regard. In 2013 he was a member of the jury at the 63rd Berlin International Film Festival.